The BAP journalistic membership includes senior BBC journalists and leading figures from The Independent, The Economist and News International. What better for the international status quo than a well-heeled freemasonry of politicians and journalists setting the news agenda? Other members come from a wide variety of backgrounds and include rising stars from the world of business, government, the voluntary sector, the media and the armed forces. Scotland had no chance of winning a Yes vote in the referendum. Can anyone remember any of the under-noted media presenters voicing even a morsel of support??? The next event was in April in the midst of the Scottish Referendum where we debated “Scotland’s place in the World”. 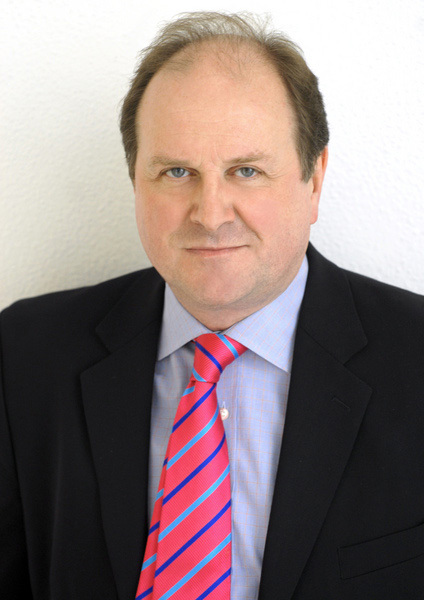 Chaired by Jim Naughtie, (presenter of BBC’s Today programme) the discussion covered what an independent Scotland would mean for the transatlantic relationship and how far the Special Relationship automatically extends. The panellists included, representatives from all political parties, journalists, business and civil society and succeeded in conveying a real understanding of the complexities of the issues involved. Evan Davis. Recently appointed anchor of “Newsnight” . Took over from Jeremy Paxman. Davis began work as an economist at the Institute of Fiscal Studies, and while there he was seconded to help officials work on early development of the Community Charge system of local government taxation (better known as the Poll Tax). As the BBC’s economics editor, Davis was responsible for reporting and analysing economic developments on a range of programmes on BBC radio and television. He also had a role in shaping the extensive BBC coverage of economics across all the corporation’s outputs, including online. Jeremy Paxman senior member of the British American Project (BAP). From the safe confines of the Newsnight studio, Jeremy Paxman introduced his Russell Brand interview in archetypal world-weary mode like some kind of venerable patrician inviting a precocious, innocent upstart to join an exalted circle, just for a few moments. The trivial diversion to the topic of Paxman’s beard meant that Brand’s question, ‘Well how come I feel so cross with you?’ was left hanging in mid-air. This is the point where Brand could, and should, have gone on the offensive about Paxman’s privileged position as a supposed fearless interrogator of power, the BBC man’s connection with the British-American Project once described as a ‘Trojan horse for US foreign policy’, and then extending to a critique of the BBC itself. There is no shortage of examples of BBC propaganda that could have been raised. Jane Hill. Senior Political reporter and newsreader. Hill is openly Lesbian. She lives in North London with her partner Sara, a camera operator. They have entered into a civil partnership. She is a member of the British American Project, an organisation which exists to promote Anglo-American relations. The organisation has been criticised for its links to the military establishment and neocon politicians. She is the current BAP treasurer. A former executive at Pearson, she was appointed BBC Trust chair in 2014 and has since run into a series of controversies that have weakened her position. In the aftermath of the tax avoidance scandal involving HSBC, where Fairhead is a non-executive director, Margaret Hodge, chair of the public accounts committee, called for her to go. Harriet Harman, the acting leader of the Labour party, has also said BBC Trust independence appears to be lacking. In July 2015 he announced, via the BBC, that in early 2016 he would retire from regular presenting duties on the “Today” programme and would, instead, be its ‘Special Correspondent’ with ‘responsibility for charting the course of the constitutional changes at the heart of the UK political debate’. The notorious Nick Robinson has been parachuted in taking over the “Today” programme. Laura Kuenssberg. BBC Political Editor BBC News..
BAP has a very impressive list of alumni which includes Ed Miliband MP, the Executive Editor of the Economist Daniel Franklin and the Higher Education Minister David Willetts MP. As well as their annual conference BAP organise a number of high profile events during the year. A recent BAP event featured the Chief Political Correspondent of BBC News Laura Kuenssberg. Sarah is the daughter of the late John Smith, ( Bilderberger) and former leader of the Labour party. Those familiar with BBC Scotland bias will be aware that much of the criticism is because it is riddled with figures connected to the labour party in Scotland. The mistress of the delivery of rehearsed written questions Sarah is incapable of intelligent response when answers are clearly codswallop. She is also too entrenched in the British establishment to be able to give any non-unionist politician a fair hearing.